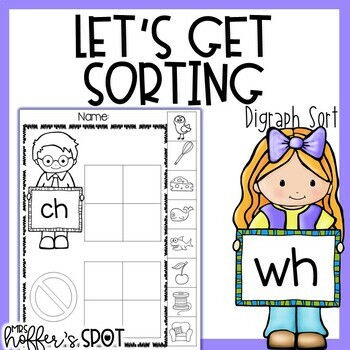 Digraph Sorting- A perfect activity for your kindergarten or 1st Grade students. 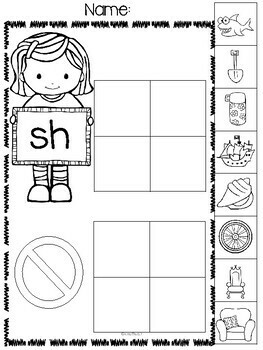 Not only do the students have a chance to work hands on to sort the digraph in center setting, but they also have a work page so you can check their learning. 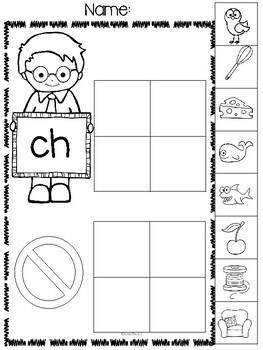 There are also pieces to make anchor charts when introducing the digraph. This is a great group of workpages. The students will cut out all the pictures and sort them. Then they will glue the four that match in the boxes, and then glue the other four under the line. You can run the sorting mats, laminate and use the picture cards as a center. Or you can use cards and the circles to make anchor charts. 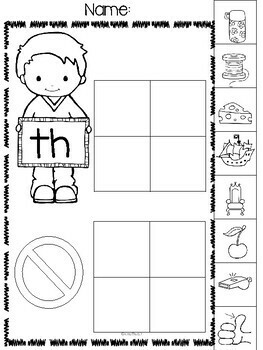 This includes beginning digraphs ch, sh, th and wh.